Natto is a traditional Japanese food made by boiling or steaming soybeans and fermenting them with the Bacillus subtilis natto. The bacillus bacteria activate a fermenting process that lends the beans their notoriously sour aroma, nutty flavor, and slippery texture. The Bacillus subtilis natto is a rod-shaped bacterium with a relatively high heat tolerance. Compared to other bacteria that have a maximum tolerance of 20º–30ºC, Bacillus subtilis natto’s heat tolerance is 40º–50ºC. While some researchers have theorized that natto may have prehistoric origins, it first became a part of the Japanese culture during the later part of the Edo Period (1600–1868). During this period, soybeans were packed in straw and buried underground for a week or more. A naturally occurring bacillus in the straw facilitated the soybean fermentation. The result was natto. Today, natto is readily available in Japan; it is commonly sold at local grocery stores in portable polystyrene containers. In Japan, natto is prepared several ways, some of which include blended with wheat, miso, cabbage or egg; mixed in salads; as a vegetarian hamburger; or as a condiment. In 1987, Sumi et al. found that natto contained a potent fibrinolytic enzyme that they named nattokinase. 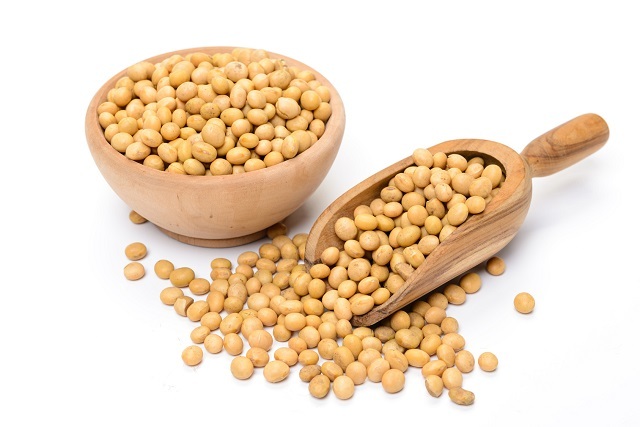 Nattokinase, the active ingredient extracted from natto, is a naturally occurring enzyme with a molecular weight of 20,000 ± 5000. It is heat stable to 60ºC with pH solution range of 6–12. Although the human body has several kinds of enzymes for creating thrombi, it uses only one “plasmin” for decomposing and dissolving thrombi. The properties of nattokinase closely resemble that of plasmin. Nattokinase, extracted from natto, is a fibrinolytic enzyme that effectively breaks down fibrin strands and the thrombi this fibrin holds together. Nattokinase is the most potent fibrinolytic enzyme found among the approximately 200 foods that have been investigated for oral fibrinolytic therapy. It has shown promise in the role of fibrinolytic agents in the treatment of atherosclerotic and thrombi sequellae, including myocardial infarctions, cerebral vascular accidents, pulmonary emboli, hemorrhoids, ophthalmic thrombi, and other related disorders.